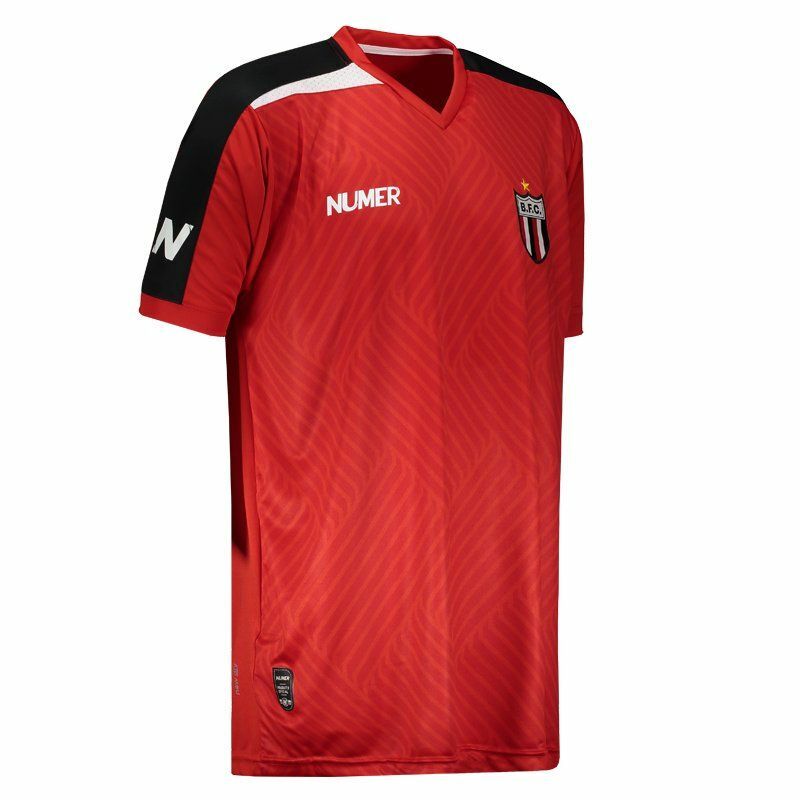 Manufactured by Numer, the Botafogo SP shirt for the 2017 training session is made of breathable polyester and comes with New Dry technology, that offers a lightweight, comfortable fabric and provides high absorption of sweat from the body. More info. 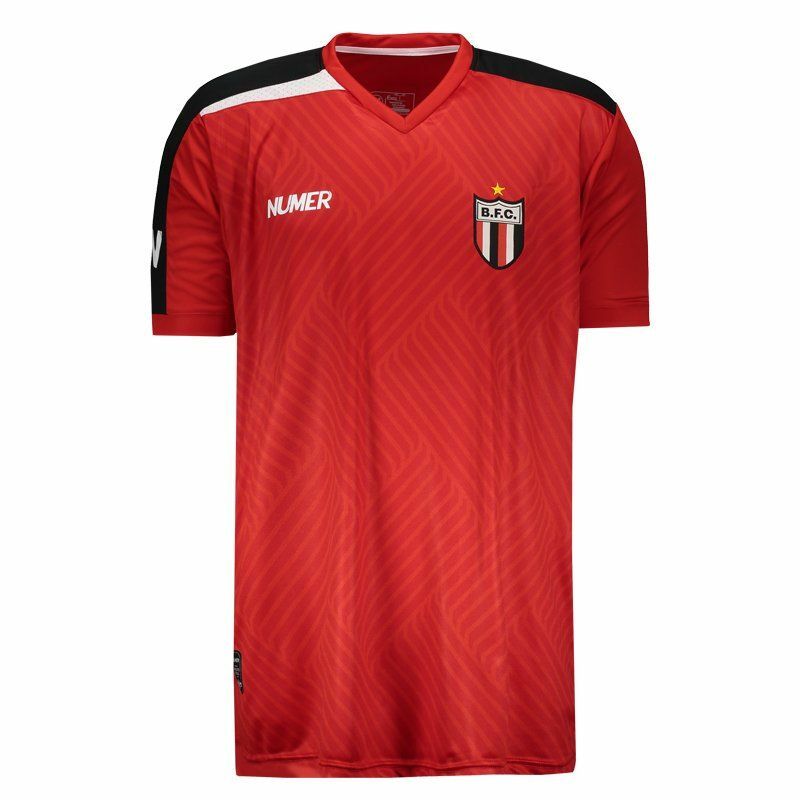 Manufactured by Numer, the Botafogo SP shirt for the 2017 training session is made of breathable polyester and comes with New Dry technology that offers a lightweight, comfortable fabric and provides high absorption of sweat from the body, keeping it dry and at a stable temperature . 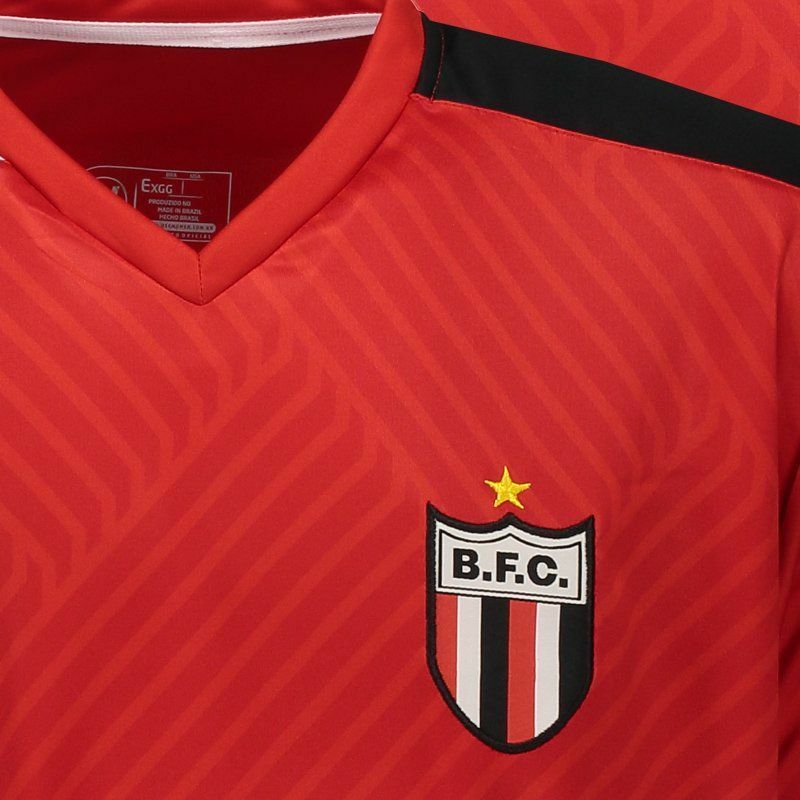 The design is predominantly red with black and white details such as the shoulder region. In addition, it has a geometric print on the front. 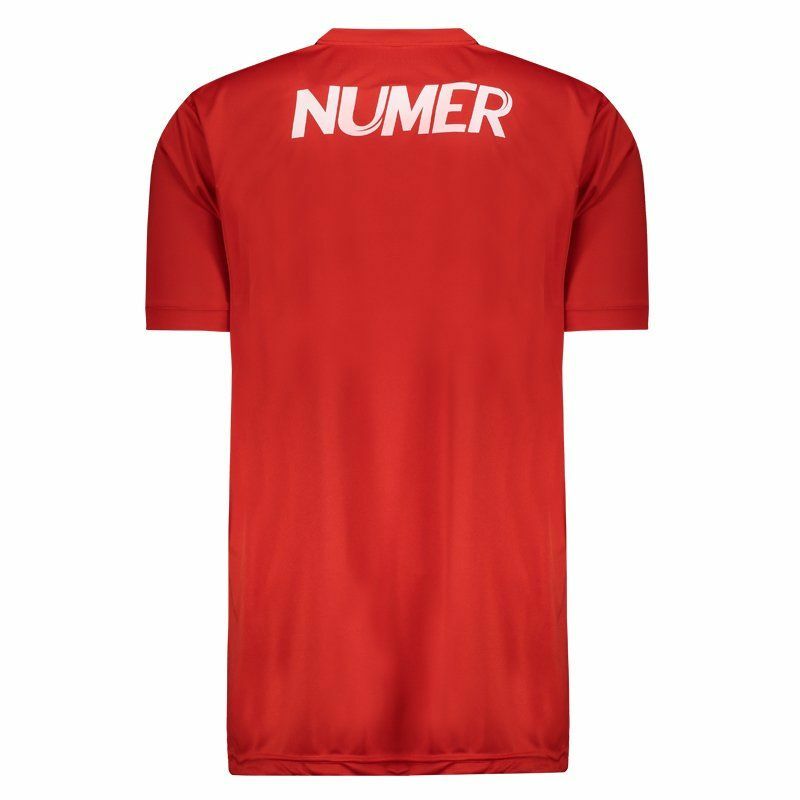 Finally, the badge of the team is seen embroidered on the left side of the chest, the opposite side in turn, the logo of the mark is seen stamped.